I’m a big believer that keeping activities and learning themed, helps little kids stay engaged. 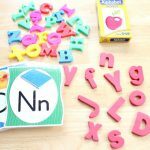 It is so much more fun to match cute themed alphabet puzzles to practice uppercase and lowercase letter recognition, than plain boring letter cards. 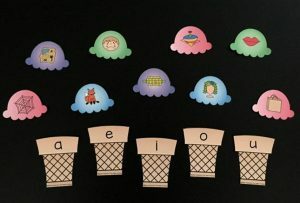 Themed learning encourages conversation, exploring new topics, and new vocabulary words! 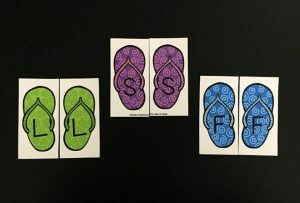 Our Surfboard Alphabet Puzzles are perfect for summertime learning! 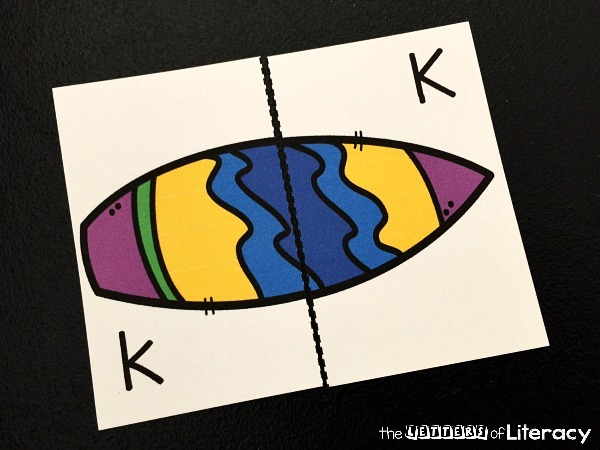 The printable Surfboard Alphabet Puzzles include 26 surfboard cards. 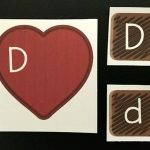 Each card has both an uppercase and lowercase letter on it. Print the surfboards from the file below. Laminate the pages that you have printed first if you are laminating them. This will save you from cutting the set twice. Cut along the dotted lines to separate the surfboards. Then cut down the middle line of each surfboard to create the puzzles. 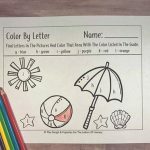 The object of this surfboard learning activity is to put the surfboards back together matching the correct uppercase and lowercase letter! To get these kind of matching puzzle activities ready, I like to set out one side of the puzzles on the table. 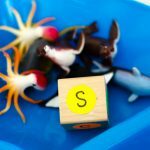 For example, you can put all of the uppercase sides of the Surfboard Alphabet Puzzles on the table where the activity will be played. An area on the floor is another good place to play. I put the other side of the puzzle pieces on a tray or in a basket. 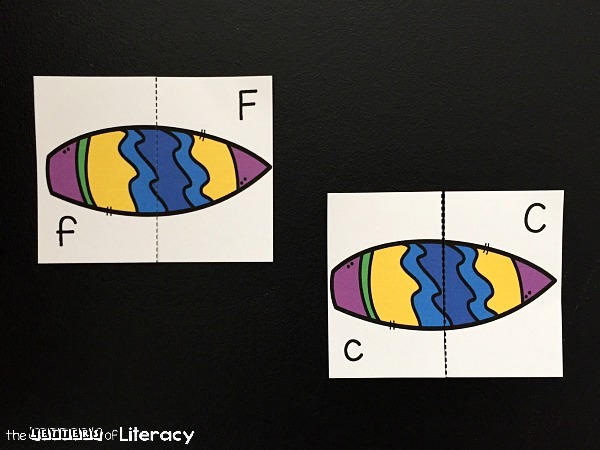 This way the kids can choose one puzzle piece at a time, find the match, and then pick another. There is also less opportunity for both sides of the puzzles to get mixed up together while playing! 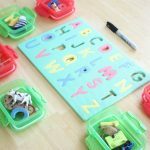 This alphabet activity can be adapted for younger learners too! If 26 puzzles are an overwhelming number, start with just a few letters to match up. 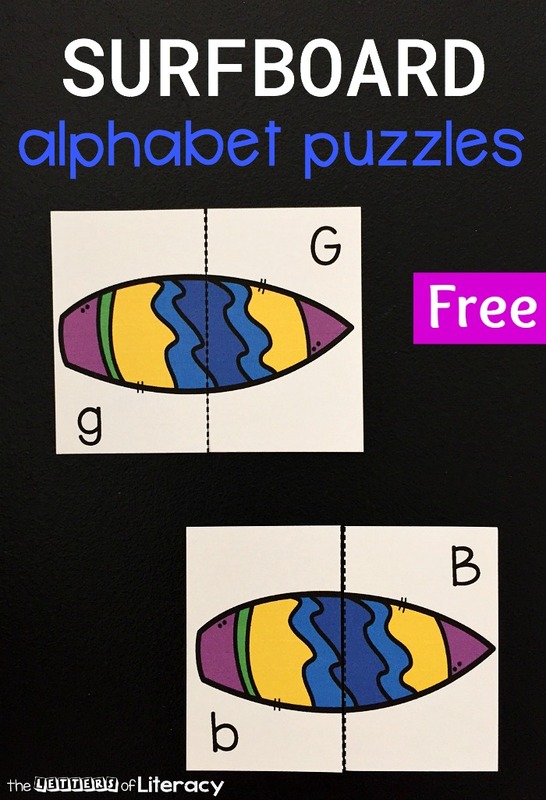 Add another group of alphabet puzzles once those are matched. 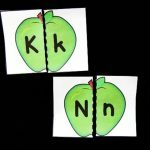 My kindergartener loves all of these kind of alphabet games! 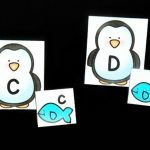 Now that she is reading and has mastered all of the uppercase and lowercase letters, we will use the Surfboard Alphabet Puzzles to play like a memory game. Even my big kids will join in and play! 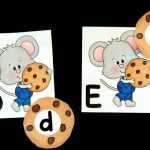 Read to practice alphabet matching? Grab your copy of the Surfboard Alphabet Match by clicking the blue button below. 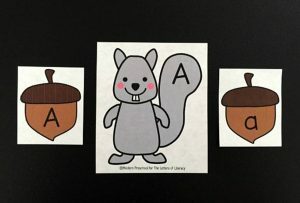 Then, surf on over and try this Squirrel and Acorn Alphabet Match!